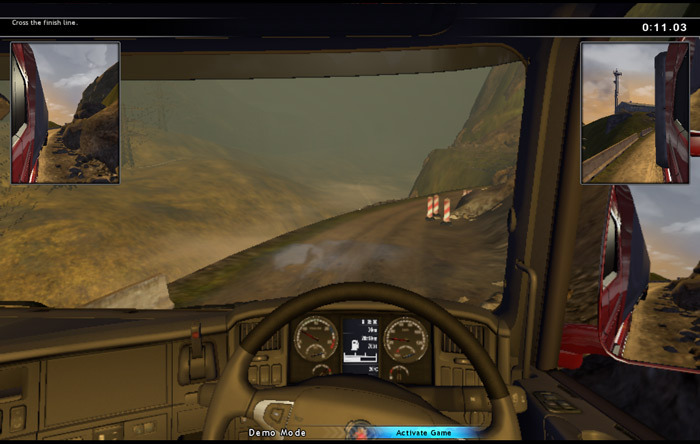 "A detailed and challenging truck driving simulator." Scania Truck Driving Simulator demo is another in the long list of ever popular Truck driving simulator games however this time actually carrying the truck manufacturers name to give it a little more kudos rather than just Euro or German Truck Driving Simulator. So what makes it different or better to the others available in this currently over crowded market, well to be completely honest not that much, the graphics can’t quite compete with the latest versions of Truck Simulators that are now available and although there are some pretty cool game modes such as dangerous driving courses and a series of challenges you must take to complete your truck driving license. The license challenge can become a little tedious if you’re looking for something a bit more high octane is probably not going to appeal to you as it takes a lot of patience and getting used to using all the controls to maneuver the truck around all the tests and obstacles you will have to, the dangerous driving challenge may appease you somewhat more although still not a speed race there is some cool scenery and the promise of certain death if you should drive accidentally off the edge of the cliff, but again here you will need to take it very slowly at certain places as you will lose points for hitting any obstacles such as cones, rocks or parked vehicles. So is it worth downloading Scania Truck Simulator Demo? If you’re a big truck fan (both big as in like them a lot and big as in the size of the trucks) and can’t get enough of these games then definitely it will be for you but if you have played other truck simulators and are looking for your latest one to be ground breaking you will probably be left disappointed. 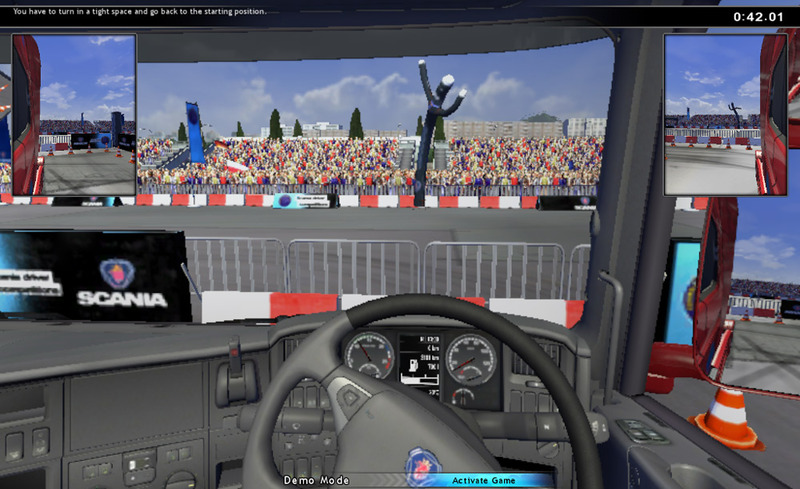 You can download Scania Truck Simulator demo here for free.